Only Odisha Beach Tour concentrates on exploring the best-kept beaches the state is known for. The untouched beauty and charm of these virgin beaches make this journey an exhilarating experience. Beginning from Kolkata, the eastern metropolitan of India, the tour enters the beach territory of Odisha via Chandipur Beach. This is a small beach resort where the sea disappears suddenly in front of your eyes. Quite literally, the sea retreat the beach with a magnanimous distance of five kilometers everyday. This natural phenomenon makes this beach worth visiting in Odisha. Another unique beach exploration during Only Odisha Beach Tour takes a tourist through pristine beaches of Puri and Gopalpur. 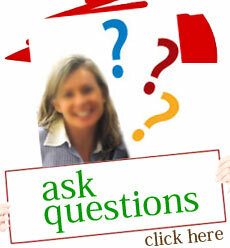 On arrival at Kolkata International Airport, meet Incredible India tour representative who will transfer you to a hotel. Rest of the day is free at leisure. Overnight at Kolkata. After breakfast, embark on a half day Kolkata city tour exploring the city’s intelligent culture and Victorian structures. In the noon, transfer towards Railway Station to board a train to Balasore in Odisha where you will be experiencing the first immaculate beach of the state, Chandipur. Check in to hotel resort. Overnight at Chandipur. Full day relax on the beach and day at your end. This unique beach is bestowed with the enigmatic quality where sea waves recede and cover up a distance of approximately 5 km during low tide and advance to the shore during high tide every day. This is a rare sight to see on the beaches of Odisha. You can walk around this best kept beach or laze along side for sunbathing. Overnight at Chandipur. Next day, drive to Bhubaneswar, the capital of Odisha 181 km. This is one of the most glorious cities of the state known for. Upon arrival, check in at a hotel. Later proceed for the illustrious sightseeing of Odisha’s Buddhist Triangle – Ratnagiri, Lalitgiri and Udayagiri. To begin with, visit Ratnagiri that was once the site of a Mahavihara or a Buddhist monastery. The site is known for many significant Buddhist sculptures scattered around in the hill range. The recent excavations around this site unveiled a 6th century Buddhist monastery established by Gupta Dynasty. Lalitgiri, the second site of the Diamond Buddhist Triangle of Odisha is one of the oldest Buddhist centres of learning belonging to 1st century AD. The sacred complex consists of huge brick monasteries, remains of a chaitya hall, a number of votive stupas and renovated stone stupa as its antique Buddhist heritage. The third vertex of this golden triangle, Udayagiri is one of the largest Buddhist Complexes in Odisha. This site consists of a sprawling complex featuring brick monasteries, brick stupa, rock cut sculptures and an inscribed step well. The well built sculptures of Dhyani Buddha, Bodhisattva, Avalokiteshwara, Tara, Aparajita, Heruka form an important attraction of visiting Udayagiri, a rising U shaped hill. After such an exploratory discovery, return back hotel in Bhubaneshwar for overnight stay. 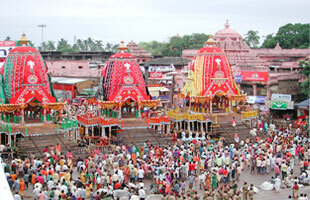 In the morning, visit the temple circuit at Bhubaneswar featuring celebrated Odishan temple. This includes a visit to Parshurameshwar, Lingaraj, Mukteswar, Rajarani and Vaital. Later drive to Konark. Enroute visit Dhauli, the legendary Buddhist site associated with a great historical personality, Emperor Ashoka. Here only, the legendary Kalinga war was fought which turned the life of this emperor upside down. It is often said that River Daya turned red as an aftermath of massive bloodshed in Kalinga, triggering Emperor to embrace the way to peace and non violence in Buddhism. Here, the main center of attraction lies in a rock edict, chaityas, stupas and pillars. At present, this site is visited by millions of people who see Dhauli as an inspiring Buddhist heritage site where an emperor gave up his sword to walk on the non violent principles of life. A visit to Pipli, an appliqué work village is another attraction of this day. In the evening, indulge in boating near the river connecting the sea. Spend free time on the beach. Overnight at Konark. Morning after breakfast, visit Konark, a world heritage site famous for its intricately carved seven horse chariot temple dedicated to Sun God. This exemplary architectural masterpiece is based on Odishan architecture and comprises great sculptures associated with Indian legends and myths. 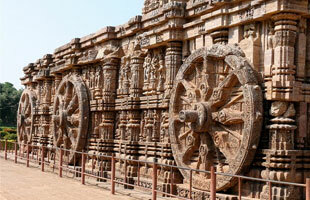 Later, drive towards Puri and visit Ramachandi Temple dedicated to Goddess Ramachandi. Followed by this, discover the working on stone sculpture at Chaitana Village. Afternoon is free at leisure on the Golden Beach of Puri where you might spot sand artist’s art of imagination on the beach sand. Overnight at Puri. Morning visit Jagannath Temple, an exemplary architectural dedication to the lord of the world. (Non Hindus are not allowed inside) Later, drive to Gopalpur famous for its gorgeous beach resort setting. The tranquil and relaxed environs of this bewitching beach offer a soothing escape to the weary travellers. Later visit a heritage village of Raghurajpur famed for its exemplary standards in craft making. Find out more about master Pattachitra painters and indigenous Gotipua dance troupes of the region. Pattachitra is an art form belonging to 5 B.C. whereas Gotipua is a base dance form for Odissi, an Indian classical dance form. Besides this, do look out for Tussar paintings, stone and wood carvings, palm leaf engravings, wooden and papier mache toys, etc on this journey to this skilled crafts village of Raghurajpur. Later visit Chilika Lake, a unique eco-sensitive hotspot inviting millions of migratory birds, exotic birds and water creatures. Overnight at Gopalpur. In the morning leave for Taptapani near Gopalpur to visit Hot Sulfur Water Spring. The hot water from the natural spring is bestowed with medicinal properties. Due to this, many people take a dip in the pond. Leave Taptapani to spend a relaxing afternoon on the beach. Overnight at Gopalpur. After breakfast in the morning, drive towards Bhubaneswar airport for an onward journey.